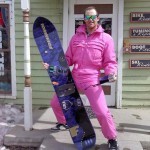 So we know you’re as excited as Kevin is here to see what made his Top 5 pick for being the best All Mountain Binding Picks. Watch it, we dare you, then complain that your favorite bindings didn’t make the list. Ride rodeo and arbor sin nombre, it’s a good match, or should I go with something stiffer, for all mountain. Howdy! Do love me a surf down the mountain and through the glades – would you recommend 2017 Rome targa or the 2018 k2 lien at’s? Thanks!!!!! AT’s are a more surfy binding. Hey i’ve had a custom/cartel est/amb boots kit till my board has broken in the park. Actually i thought i pick another brand now and i picked a lib tech box knife. But for that i will need to change the est bindigs too. Im a bit of a mixed bag… mainly ride/playing in the park (still learning, not a pro), i like to buttering, but somethimes carving, higher speed on the piste…i checked actually cartel or malavita reflex versions, but also bent metal transfer, but also rome katana. Cartel was quite ok, nice customization points, sometimes i feld it a bit stiffer, but ok. Should i stay at burton brand because of burton amb boots, or you have better advice maybe? Thanks in advance for your kind help! Cartels, Transfer, Katana would all work for what you’re looking to do. Debating between the Vice or Lien At for my all mountain. Which is lighter? Which is more responsive? The Lien will be lighter. Vice is probably a bit more responsive. Hey there! Just got myself the Capita DOA. I would describe myself as an advanced all-mountain type of rider. I’m currently looking for a good binding that fits my board and my riding style. Thanks in advance for your help! Rome Katana, Ride Rodeo, Now IPO or even the Brigade if you want to be a bit more surfy, K2 Formula are all ones to look at. How come you never read/hear anyone recommend the Nitro Team when talking about all-terrain bindings? What do you think about it? Hey, what do you think about Union Force for all mountain mid/stiff board? Any of these would work for you.